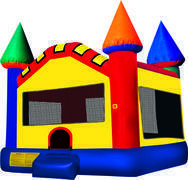 Bounce house rentals are the nation's number one attraction for large events, birthday parties, school carnivals, and church festivals. Brent's Bouncin' Inflatables has a great selection of bounce house rentals with a variety of sizes and themes that feature your favorite cartoon and movie characters. 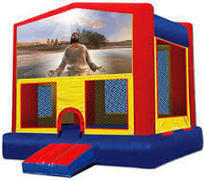 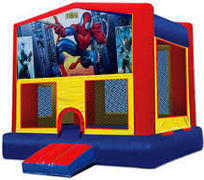 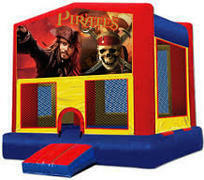 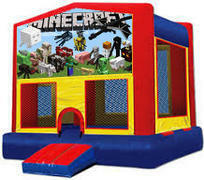 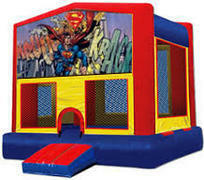 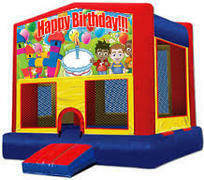 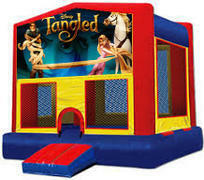 All of our bounce houses are manufactured from "lead-free" vinyl and are cleaned and sanitized before every rental. 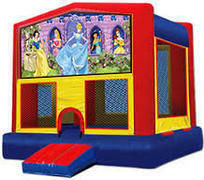 Browse the selections below and click on the title or image for additional information and to make a reservation.